The founder of the City of London Distillery asked us for bold brand design to capture the character and heritage of this special corner of London. Luckily for us, the skyline of this financial square mile hosts a jewel in the crown of London design - St Paul’s cathedral. Built by St Christopher Wren, this structure was truly innovative for its time. To support the famous dome, Wren designed a double structure from within. The shoulders of the gin bottle reflect the outer and visible dome of St Pauls while the punt of the bottle is the hidden inner structure. The brand name edges around the bottle like a classical frieze replacing the window line in Wren’s cathedral. Finally, the filigree edging around the label is an ode to bar mats found in local drinking dens providing momentary relief to stressed out City bankers. 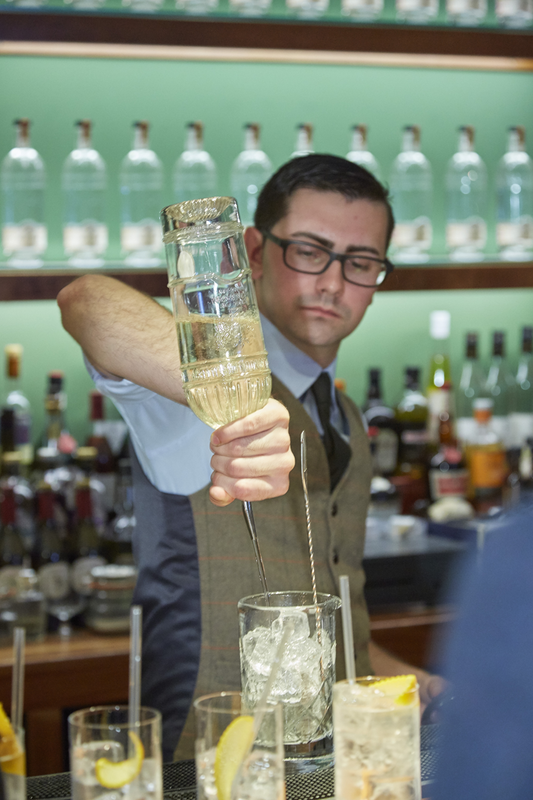 This gin proudly wears the crest of the City of London as the only distillery located within the Square Mile. Following the launch of the brand, the City of London Gin Distillery has gone from strength to strength, introducing new lines (including the grey bottled ‘Christopher Wren’ gin) and opening its distillery to the public for unique gin experiences. Our client also commissioned a limited run seasonal gift pack containing five of its best gins in 5cl bottles to be sold in Selfridges and Harrods. The smaller scale called for a bespoke production run of glass through our suppliers in Italy. For the presentation box, we designed clean, white and refined packaging with a historical map of the City of London from the 1800s on the box cover to suggest the classic heritage of the brand. To add a personal touch, the map overlay centres on Bride Lane, the home of City of London Distillery.